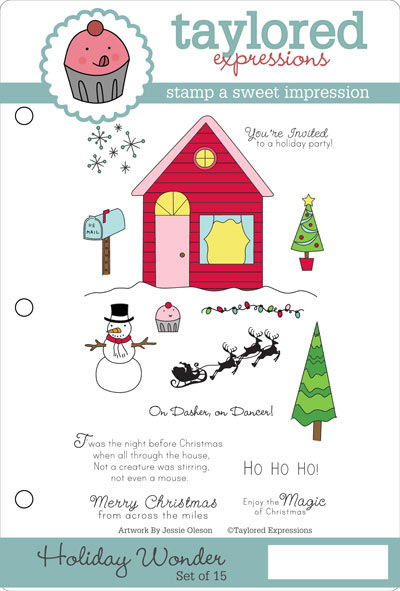 Sweet Impression: CakeSpy Rubber Stamp Giveaway! Like, OMG! Are you ready for a sweet giveaway? This time, it's a set of Christmas rubber stamps featuring Cuppie in all sorts of sweet wintry scenes! This set of unmounted rubber stamps is a collaboration between CakeSpy and Taylored Expressions, and it comes just in time for either making your own holiday cards...or for giving them to a crafty friend as a holiday present! The set would usually retail for $21.95, but one lucky winner is getting a set for free! What sweet treat are you most looking forward to this holiday season? Of course, if you can't wait, you can purchase the stamps here, stay in touch with Taylored Expressions via twitter and their blog, and also check out the inspiration gallery here! The cake poll will close on Monday, November 2 at 12 p.m. PST!